. 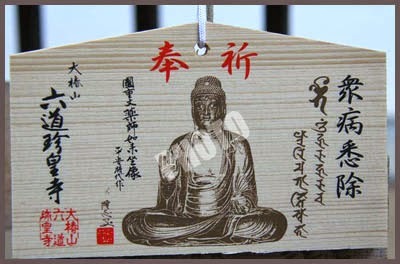 Yakushi Nyorai 薬師如来 Legends from the Prefectures .
. Henjoo-In 遍照院 Henjo-In . This hall used to be in the Southern Plain of Shichinohe. That location was difficult to visit for prayers. Once someone passed by, became very tired and took a nap, but then realized there was a wildfire. When he tried to run away his leg got caught in a vine. He fell down and hurt his eye on a udo plant (（独活、Aralia cordata）. And nobody is allowed to eat the udo plant. The statue of Yakushi is made from one piece of the katsura tree 桂の木 (Japanese Judas tree, Cercidiphyllum japonicum), dating back to the Heian period. On the 8th day of the fourth lunar month ４月８日 (now celebrated on April 8) many people come here to pray. 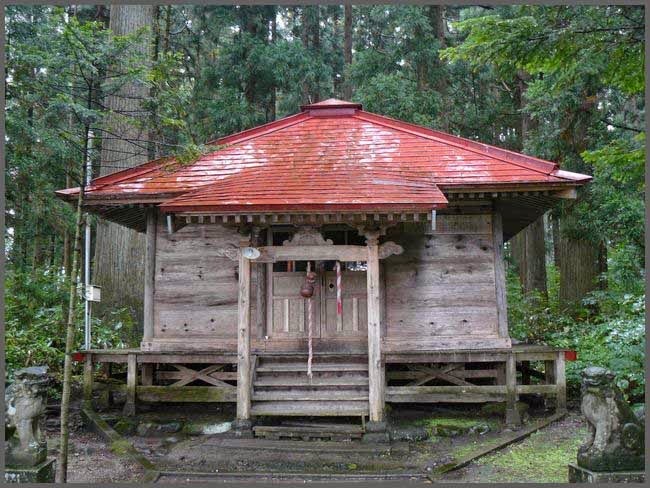 The place was also used by the mountain ascetics and their hall for mountain worship was called 薬王院 Yakuo-In. 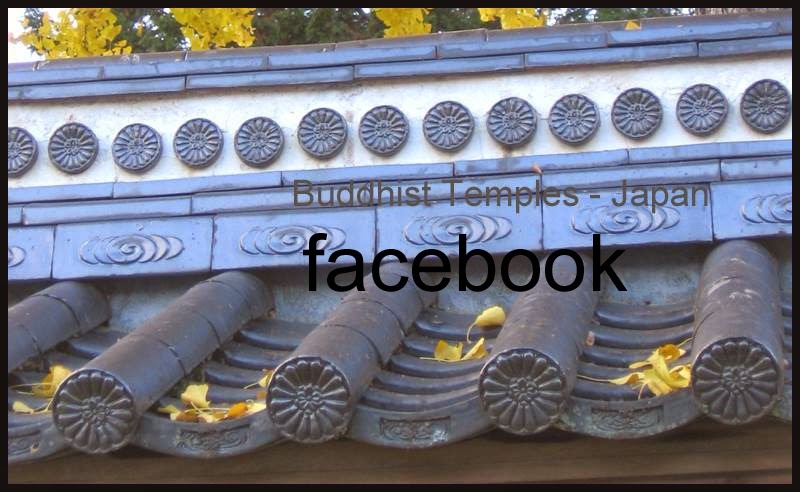 During the Meiji period, it was re-named to Yakushi-Do Hall. In the precincts are two large 狛犬 koma-inu, dedicated by the shipping company of Hoeimaru Yohachiro 運送船頭宝永丸與八郎 in 1861. Now there is no priest in residence here any more and the temple 瑞龍寺 Zuiryu-Ji, the clan temple of the Nanbu clan takes care of it. At the Osorezan Hot Spring area, there are many different kinds of baths. 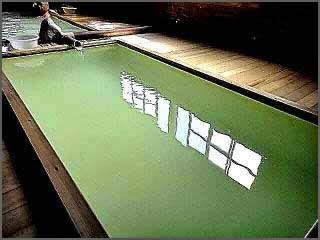 A small bath with beautiful green color, for men and women taking turns.
. Osorezan Taisai 恐山大祭 Great Festival at Mount Osorezan.
. Persimmon (kaki 柿)- Introduction . 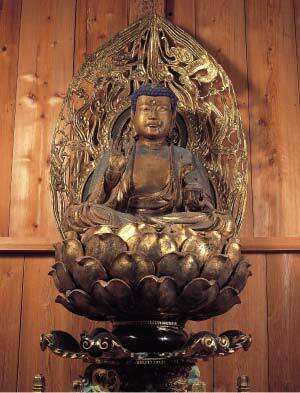 Yakushi Nyorai is said to be a deity to protect the abdomen 腹の神. His festival in on August 8/9. Children 2 years of age have to visit the Yakushi Temple and lick at the moss of the steps 階段の苔 to keep them safe from stomach ailments. 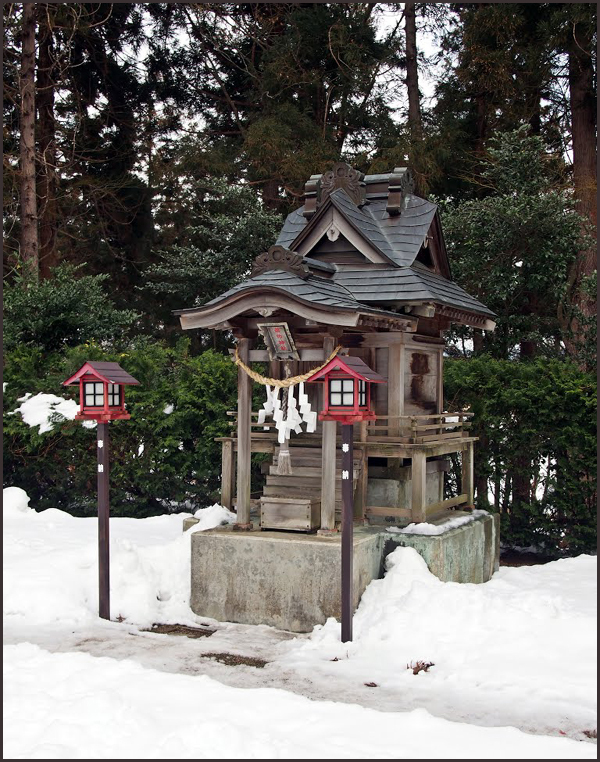 耶麻郡　北塩原村 at Kita Shiobara Village in Aizu.
. Aizu Wakamatsu 会津若松 Yakushi Pilgrims　薬師参り . 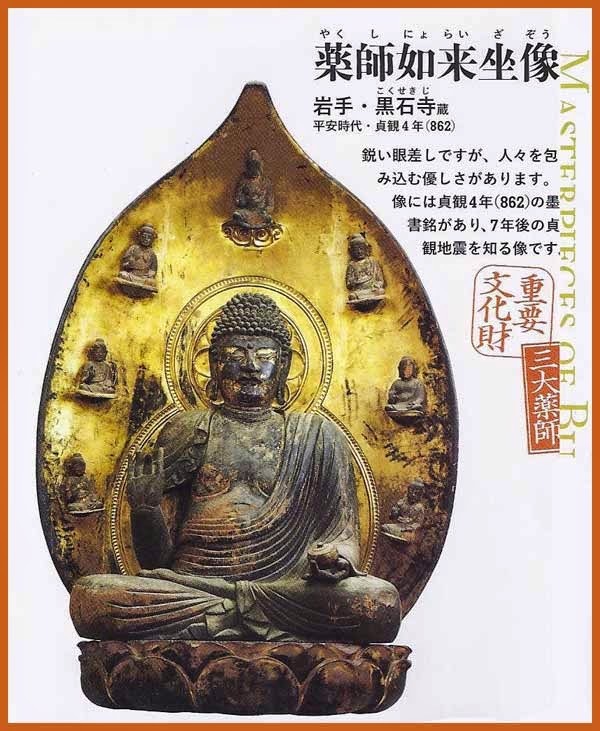 Around 1940 the Pine Tree of Yakushi was sold. When the tree was cut down just like that, they found below it the figure of a woman who had been ill and died. Sacred trees of a shrine should have a proper ritual before they are cut down. 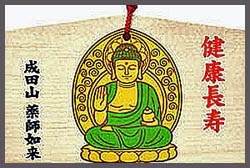 神社の木は祈祷.
. Sukunahikona no mikoto 少彦名命 . 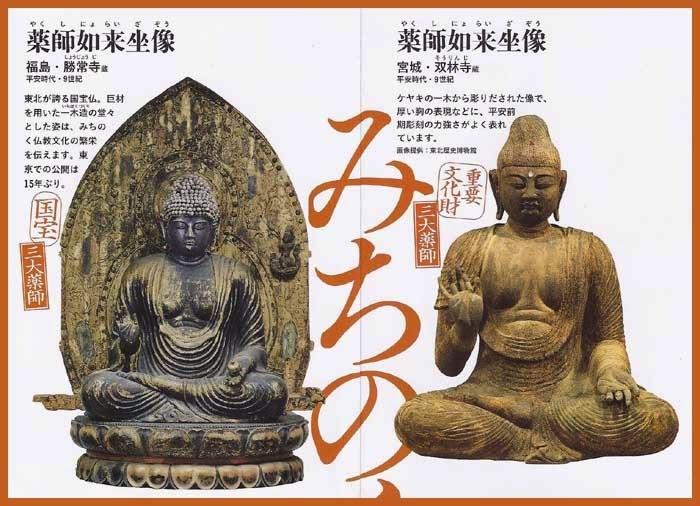 There are many temples in honor of Yakushi in the Tohoku region. 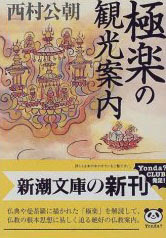 There are some shrines in his name too, Yakushi Jinja 薬師神社.
. Tono Fudo Myo-O Monogatari 遠野不動明王物語 . 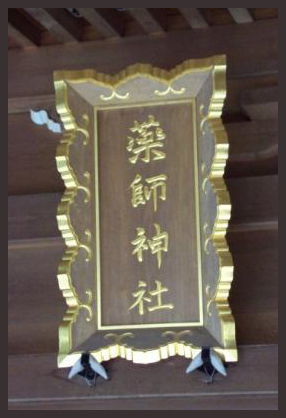 In the 中尊寺薬師堂 Yakushi Hall of the temple Chuzon-Ji there are the skull bones of a Karasu Tengu.
. Karasu Tengu 烏天狗 "crow Tengu .
. 小夜姫 / 佐用姫 Princess Sayo Hime from 佐用 播州 Sayo in Banshu . 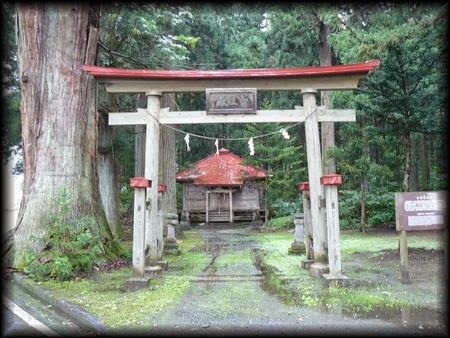 In the compound of Amaterasu Mioya Jinja 天照御祖神社 there is a 薬師神社 Yakushi Shrine. People come here to pray for healing of eye diseases.
. Fukui 福井県 - Yakushi Jinja Shrine .
. Yakushi Nyorai Legends from Miyagi 宮城県 .
. Yakushisan, Yakushi San 薬師山 Mount Yakushi .
. Ono no Komachi no rei 小野小町の霊 spirit of Ono no Komachi .
. Yakushi no Yu 薬師の湯 / Yakushiyu 薬師湯 Yakushi Hot Spring .
. Japan after the BIG earthquake March 11, 2011 .